Many home décor retailers still offer print catalogs so customers can browse for products at their convenience. If you are looking for new bedding, a catalog is a handy tool that you can take on the go and shop for bedspreads while waiting at the doctor's office, the DMV, or anywhere else. 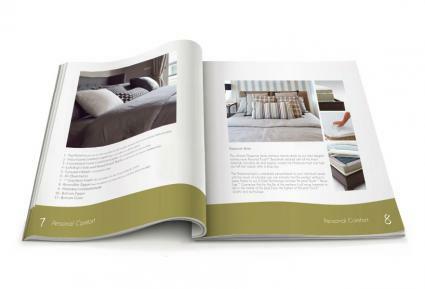 Online catalogs are also available, allowing you to print or e-mail pages with bedding products that you might want to share with your designer or friends and family. The easiest place to order a print catalog is online. Retailers who offer print catalogs have convenient order forms on their websites. The Vermont Country Store has a free catalog that you can order online and expect to receive within 7 to 10 business days. With this catalog you can shop for vintage and traditional style bedspreads with Chenille and Candlewick textures, ruffled or fringe edges and floral, striped or solid patterns. Prices start as low as $49. Brylane Home will send you a free catalog when you fill out their simple order form on the website. With this company's catalog, you can browse for bedspreads and coverlets in a wide variety of styles with both traditional and contemporary designs and patterns. Brylane Home has attractive bedding at very affordable prices, with most styles priced under $100. Visit Through the Country Door to request a free print catalog where you can browse for beautiful, country style bedspreads and oversize quilts that look like bedspreads. Vintage looking, textured chenille and feminine ruffles make these bedspreads a great choice for traditional or country style homes. Orvis is a company that focuses on the outdoor lifestyle. Orvis has home furnishings as well, including bedspreads. You can request one of their free print catalogs to browse for country and cottage style bedspreads and coverlets with affordable to moderate pricing. With a free catalog from Seventh Avenue, you can browse for bedspreads, which are mixed in with their comforter and quilt selections. Here you will find traditional style bedspreads similar to what is offered at Through the Country Door. Pottery Barn offers several online catalogs, including their seasonal bed and bath catalog, specifically dedicated to bed and bath products. Here you can browse for the latest styles and trends for bed covers and accessories. Clicking on the little price tags that appear when you mouse over the catalog pictures will give you prices and information on each specific product pictured. Through the Country Door offers an online version of their print catalogs. If you see something you like while browsing through the print catalog, you can e-mail the page to family and friends instead of tearing out a page from your print catalog. Seventh Avenue is another company that offers an online version of their print catalog. See the description for Seventh Avenue in the print catalog section of this article to find out what style of bedspreads you can expect to see in their online catalog. When you browse through bedspread catalogs and find items you like, be sure you jot down the item number or sku number, in addition to the product name. Many retailers offer a catalog quick shop order option so you can quickly and conveniently check out without having to search for the item on the website. You may also want to include in your notes any extra ordering options such as color selections, in the event that your first choice may not be available. Print catalogs make it easy to shop for home décor when you're spending time outdoors, such as when you're catching some rays by the pool or hanging out at your child's soccer practice. When online shopping isn't an option, grab your favorite bedding catalog instead.